I could use a lot of superlatives here. Instead, let me just say I had a very interesting time. 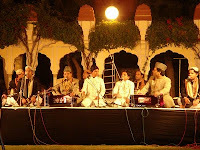 Jaipur is beautiful and exotic even if you don’t have anything as interesting as this to do, and this time the organizers of the festival hosted us hangers-on in a brand-new haveli-type place with wonderful atmosphere. The festival grounds are also done up like a mela. There’s bustle, food and fashion as well as books and writers walking around, talking about their work and putting on entertainment of various types. And there’s a strong feeling that people are here to really enjoy themselves – not just to be seen or to tick off a Must Do they have on their list. One evening, the new Pakistani novelist Ali Sethi sang some verses of Faiz Ahmed Faiz. He sang so well that I couldn’t resist trotting off next day to buy a copy of his book The Wish Maker to get it signed by this very talented young man – or posing for this photo with Shrabani Basu and her sister Shoma. I interviewed Shrabani for Sunday Mid-day before the festival, and you can read here what she said about her new book Victoria & Abdul, the very interesting story of Queen Victoria and a young Indian cook named Abdul. 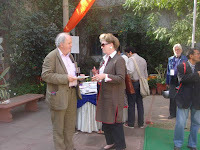 At Jaipur, I also spent time with one of my favourite writers, Alexander McCall Smith. His books make you feel warm and comfortable, give you a sense of the world the way it should be, and have both wit and optimism flow through them. Meeting him is a very similar experience. When I told him that my friend Gladys, who is 85, had said I should say “thank you” to him, he offered that we could phone and he would have a chat with her. I saw him being just as kind and friendly to others too, listening with interest and asking names. I had interviewed him before the festival and you can read what he said here. I met Hanif Kureishi too, quite by chance – I was heading back to the hotel when the travel desk stopped my cab and another 2 men got in. The one next to me started chatting and when I eventually asked his name, was embarrassed not to have recognized him. Hanif Kureishi is known to be usually grim-faced and silent so having the chat was quite special. Here’s my article about the encounter. The page also carries what I wrote about My Friend the Fanatic by Sadanand Dhume, who also happened to be at the festival. Hanif reminded me a lot of his books. I’ve found that with other writers too - definitely Sadanand Dhume. Perhaps because the ones I'm thinking of have autobiographical themes. But it confused me when Louis de Bernieres, whose books cover a range of themes and styles and tend to be complex and darkly humorous, turned out to be an ordinary sort of person with no airs of any kind and who speaks in simple sentences. I apparently discovered him before anyone else because we hung out for more than 2 hours and even went and had lunch together. The meal queues at the festival tend to go on and on so we had plenty of time to chat and talked about our families, various customs and more. This photo shows him writing something for Mark Tully. He also made everyone laugh by telling them this story. “My son Jack was at school and one of his friends came up to him and said, Jack, there’s a picture of your dad in the history book. Jack was a bit surprised because I’m still alive so I shouldn’t be in the history book so the kid took out the book and showed him a picture of Gandhi. So apparently a bald man with glasses died in India and another bald man with glasses was born in Ireland. And this is my spiritual home – I’ve been waiting a long, long time to get here!” In the next session other participants started calling him Ben Kingsley and everyone laughed. One of the things I did not like about the festival was that there were too many times I wanted to attend more than one session that was happening at the same time. I missed one rather good one with Hanif Kureishi because I was attending one on Sindhi literature which I couldn’t tear myself away from. 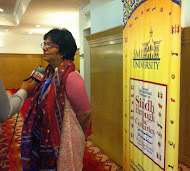 It wasn’t very well run, and the one Pakistani Sindhi writer wasn’t given enough time to speak and cut short, while the presenter took her own time telling personal stories which I thought was rather unfair. 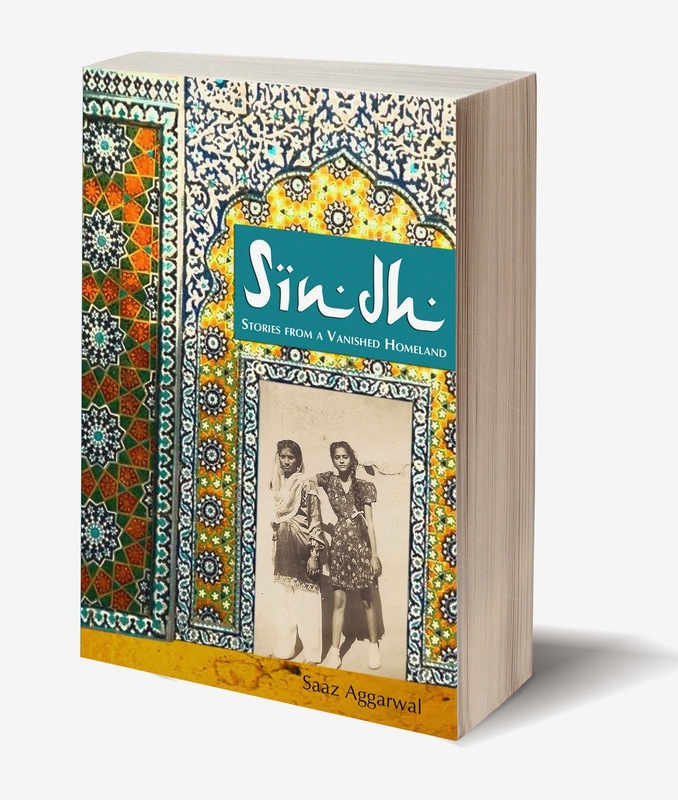 Of course the Sindhi language is dying in India and has even been dropped from the new Mile Sur Mera Tumhara but Shaukat Shoro did say it was alive and well in Pakistan despite the language riots in which the Sindhis have been attacked over the years. 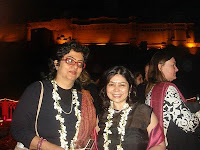 On the last day was a Writer’s Ball, this time with the very impressive Amber Fort in the background. I’m really not good at living it up at parties but here’s a picture of Shrabani and me again. And more little titbits about the festival here. 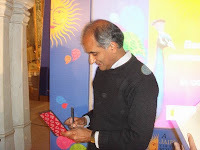 My most memorable moment of the Jaipur Literature Festival last year was of a Japanese visitor approaching Pico Iyer for an autograph. In case you’ve read The Lady and the Monk, you’ll know about Pico Iyer’s year in Kyoto and perhaps, like me, you’ve wondered what happened to the wonderful woman he has a relationship with while he’s there. In the course of our interview for Sunday Mid-day he told me, “Oh yes, I was silly! But then I came to my senses. I went back and married her.” More than 20 years later, they continue to be blissfully, blissfully happy together though (or perhaps because) both can barely speak each other’s languages. Pico Iyer was delighted to sign this lady’s autograph book, and I’ll never forget her gratification at the way he welcomed her and said how much he loved Japan and admired the Japanese people. He was equally gentle and warm with everyone who approached him. I very much enjoyed the hour we spent chatting, and you can read some of what we talked about here. 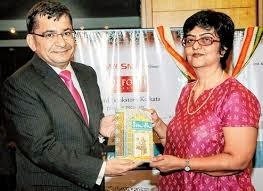 Another author who made a mark at Jaipur was Chetan Bhagat. He was at the festival with his wife and twin toddlers (and their ayah). He was mobbed by the press and by hordes of young and awestruck readers. But he was not nearly – now how shall I put this? 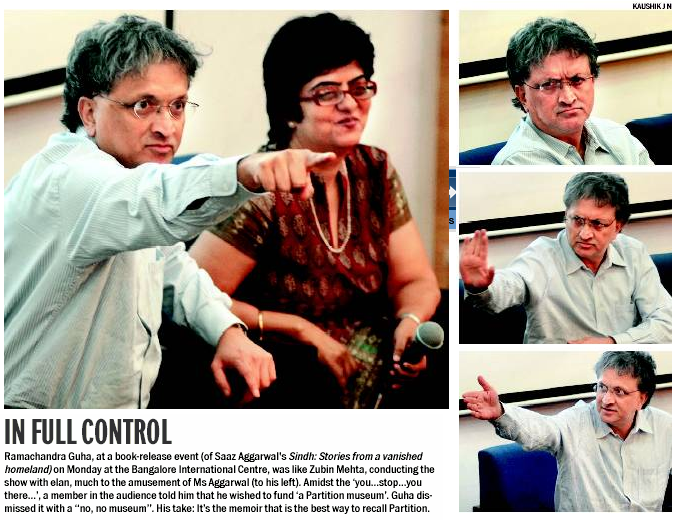 – as well mannered as Pico Iyer. 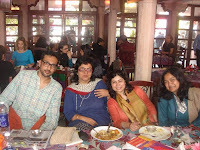 One of my regrets from last year is that one evening my friend the novelist Namita Devidayal sang on stage - and I was elsewhere, having dinner with friends. I really enjoyed the festival last year and am absolutely delighted to be going again next week - and am artless enough to say I'm not going to miss anything for anything. 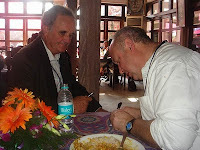 The first person I connected with at the Diggi Palace in Jaipur was Bruce Palling. Bruce is Australian but lives and works in England, and has been a journalist for more than 40 years during which time he lived in India for 2 stretches. 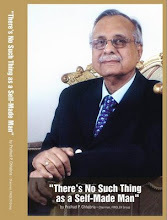 He’s a well-known travel writer – he was once travel editor of Tatler magazine – and his book India, a literary companion is a collection culled from the recorded observations – bewitched, bemused, amused, dismayed – of travellers, traders, missionaries and artists over the past 2500 years. 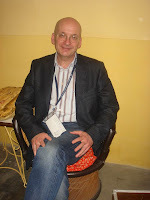 He was here to enjoy and write about the Jaipur Literature Festival, and while chatting he told me how, just the previous week, he had seen Colin Thubron being addressed scornfully by a visa officer at the Indian High Commission in London. Thubron, whose novels and travel books have stopped just short of the Man Booker Prize but earned him the sobriquet of “gentleman traveller”, was apparently trying to assert himself as a delegate for the Jaipur festival but the documents he was presenting, rather than earning him a visa, seemed only fit to draw derision. Then Bruce told me he’d once seen William Dalrymple drinking out of a bottle of water the Indian way, tilting his head back, pouring the water into his mouth and glugging it down seamlessly without spilling a single drop or choking even once. “What a show off!” we concluded disdainfully – indulging the scruffy and embittered nature that writers traditionally profess towards other writers more prominent than themselves. The festival, held this year in the last week of January, is an annual event that provides a kind of sumptuous buffet, with literary stars wandering around, speaking about their work and reading aloud from it, and being accosted by the press and autograph seekers. 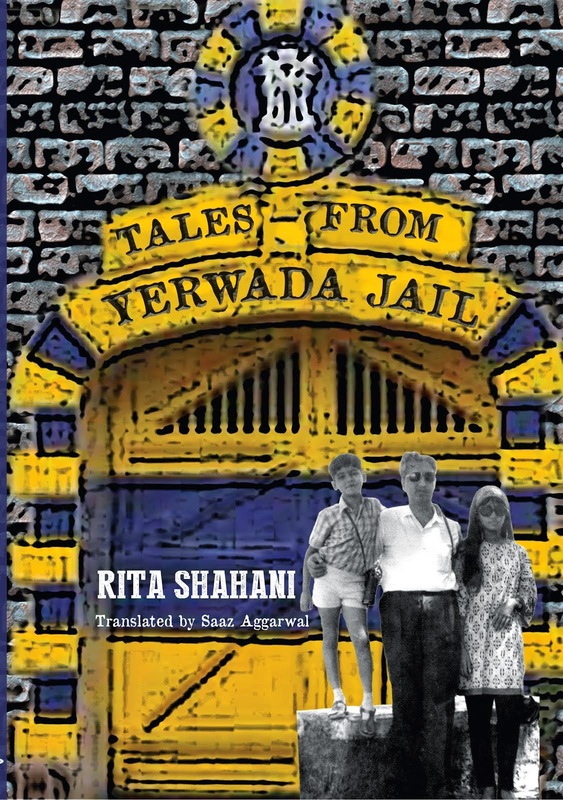 This year these included Vikram Seth, Pico Iyer, Tarun Tejpal, Ashis Nandy, Chetan Bhagat, Hari Kunzru, Patrick French, Prasoon Joshi, Vikas Swarup – need I go on? A group of young publishers from the UK spoke about contemporary trends in publishing and how young writers could best attend the opportunities available to them. Prasoon Joshi, Nandita Das and Vikram Swarup chatted with film maker Nasreen Munni Kabir in a session titled Scripting Bollywood which might have been better described as “All About Me”. 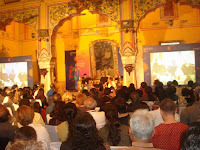 On the second day of the festival, a minor sensation had been reported – apparently Vikram Seth had been seen sipping wine while speaking at the podium! Long articles appeared, sternly decrying this singular act of depravity, corruption of youth and so on. It was the scruffy and embittered syndrome all over again and it’s unfortunate – though perhaps not surprising – that instead of focussing on the unique grandeur and artistic beauty of the event, much of the media indulged themselves by highlighting and sensationalising trivial aspects of it. The Diggi Palace is an old Rajasthani haveli converted into a hotel, and the owners graciously lend the property to the festival every year. Besides the large and beautiful front lawn, two splendid tents had been set up with comfortable chairs and charpoys. In between was a space where you could sit at tables and be served with tea while conducting meetings or interviews. Several stalls lining the venue offered folk art and trinkets, and books you could get signed by their authors on the spot. The main hall was embellished with Rajasthani murals, woodwork and chandeliers. One morning, Pico Iyer and Tarun Tejpal sat there chatting with Patrick French about his biography of V.S. Naipaul, and he described some aspects of Naipaul’s life and the interesting interactions they had had in the course of producing the book. I’ve always been a fan of Pico Iyer and approached him at the end for an interview. But he was keen to attend the next session. 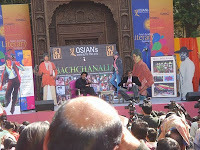 This featured Amitabh Bachhan – not because his father was a poet, but because a book in his honour, Bachhanalia, was being released on the lawns. (Don't miss the attitude in his posture in this photograph). Pico Iyer turned out to be calm and wise in a relaxed sort of way – turning a peaceful and charming attention to all who approached him. On the final night, a Writer’s Ball at the Jaipur City Palace was a fitting finale. The grand, centuries-old property (the current Maharaja continues to live in private apartments here) provided a setting that can best be described by the type of gushing, superlative adjectives that I prefer to avoid. While some indulged themselves with food and drink, others fawned over their favourite writers, and the qawwali offerings of the Nizami brothers also found a rapt, ecstatic audience. Every view of the inimitable Vikram Seth I’d had so far had revealed him irritable and self-absorbed, grimacing in a longsuffering manner and with general body language indicating the absolute limit of his tolerance. Now, to my great gratification, he guffawed aloud. This festival is an annual feature and entrance is free of charge. The organizers even set up bursaries which provide subsidised accommodation to students. 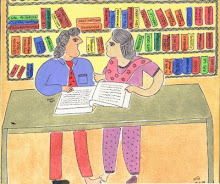 If you’re a lover of literature, definitely check it out on-line, and try to make it next year. I enjoyed reading this book and also admired the way it was written and the different elements of village life that the author brought into the story. One of the bits I enjoyed most was the beginning. These lines give no indication of whether what follows will make the book a classic, or trash, or something in between. But it goes on to tell the wondrous and rather incredible tale of Naib Singh and his favourite black bull after whom the village he founded was named. 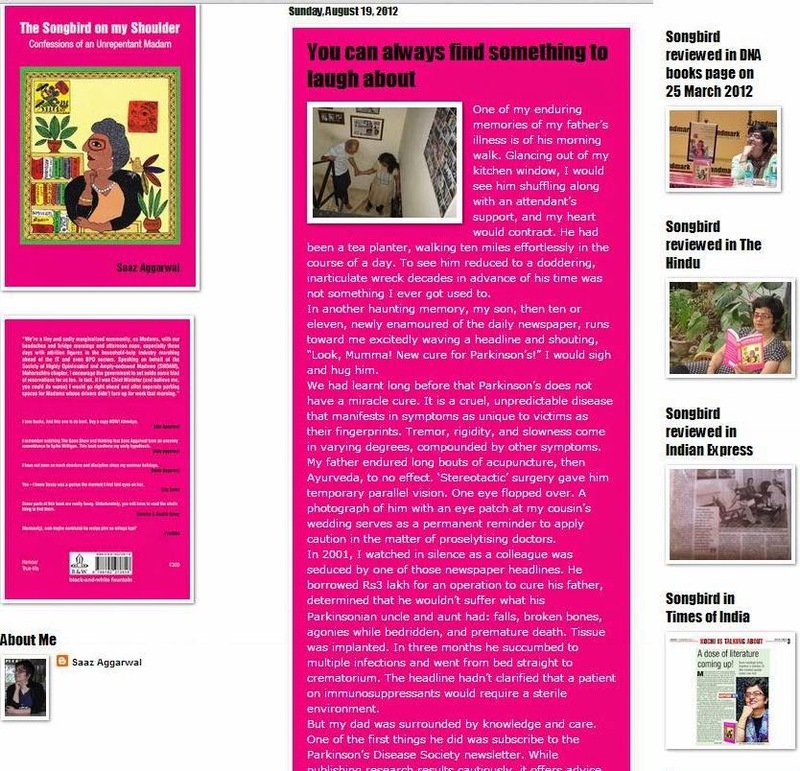 I mailed Manjul Bajaj asking her for more information about herself and the book and she sent me links. After my Sunday Mid-day review was published, I sent her this link to it. 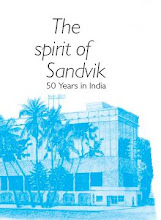 Then yesterday, on facebook Manjul Bajaj posted this link that had appeared in the day’s Hindustan Times, a concise and positive review of her book. 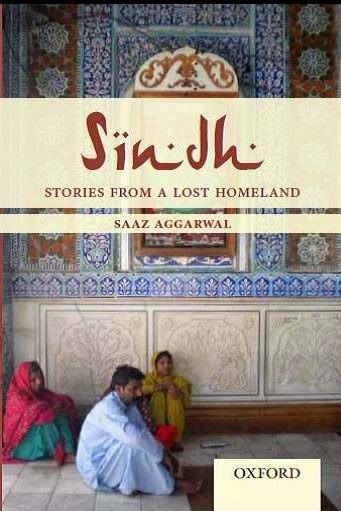 One of the comments that followed said, “Nice review Manjul, I liked it better than I liked Saaz's” which made me giggle but also got me in touch with someone I’ve been out of touch with for years … how I love facebook!